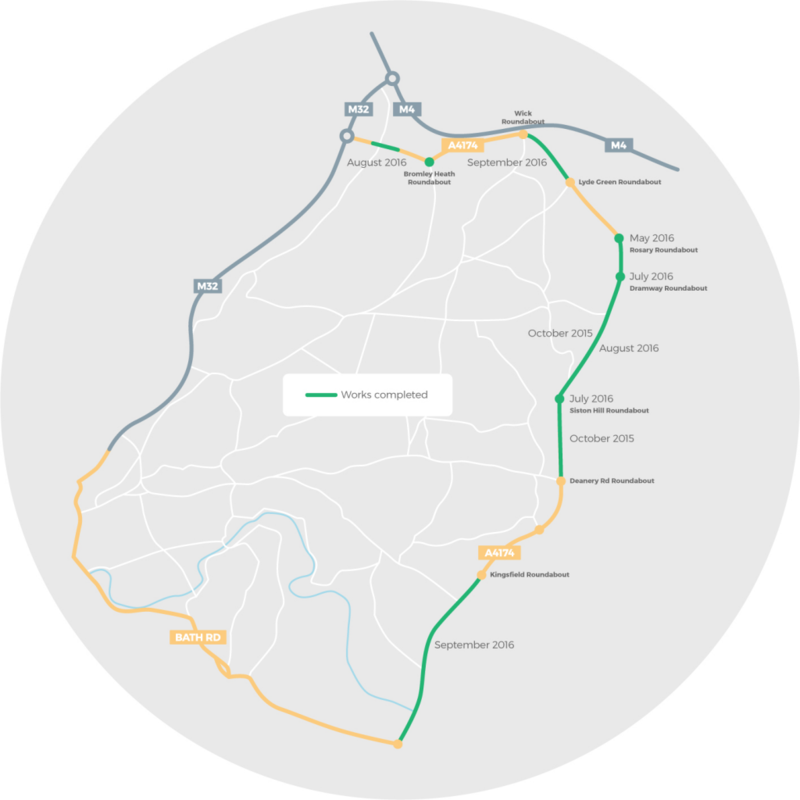 The Challenge Fund A4174 scheme will be coordinated and delivered by South Gloucestershire Council who were awarded £14 million pounds from the Department for Transport. 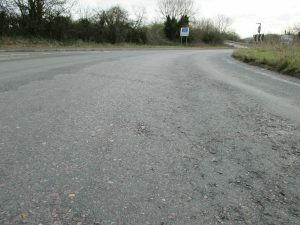 This scheme focuses on the maintenance of the A4174 Avon Ring Road between the A38 at Filton and the A4 at Hicks Gate and will include improvements to the carriageway, footpaths, cycle ways and street lighting as well as structural maintenance for the Bromley Heath viaduct, Filton subway and Avon Valley bridge. The work will minimise maintenance over the next 20 years. The A4174 Challenge Fund past, current and future road works are illustrated on the image below. South Gloucestershire Council and Bristol City Council were jointly awarded £12.6million for major maintenance works to the A403. 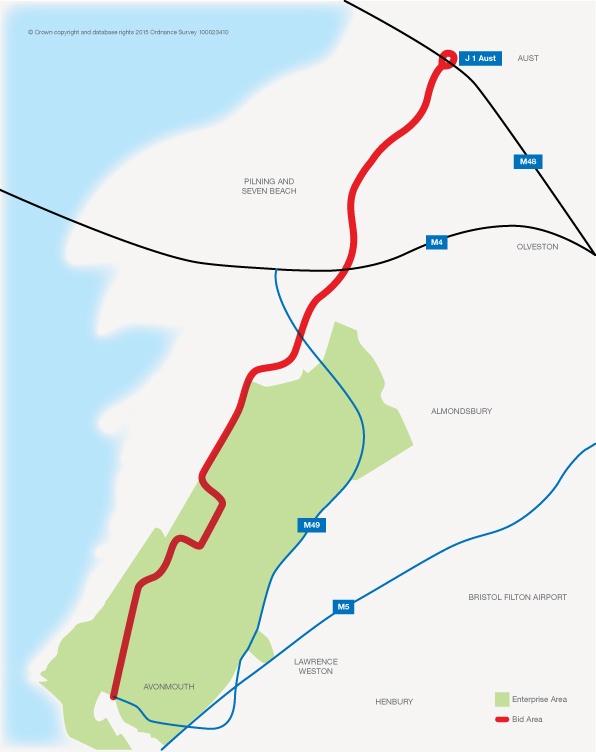 The successful application included improvements and enhancements to the A403 from Avonmouth Port to the M48 at Aust. The scheme supports the economic development in the Avonmouth and Severnside Enterprise Area and Avonmouth Deep Water Container Port and provides enhanced facilities for sustainable transport modes and contributes towards employment opportunities. 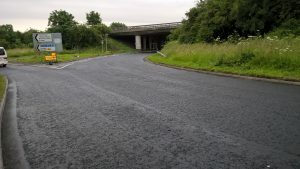 South Gloucestershire Council carried out improvements to five miles of coast road as part of the national Challenge Fund programme, in partnership with Bristol City Council which worked on three and a half miles on the Bristol section of the road. 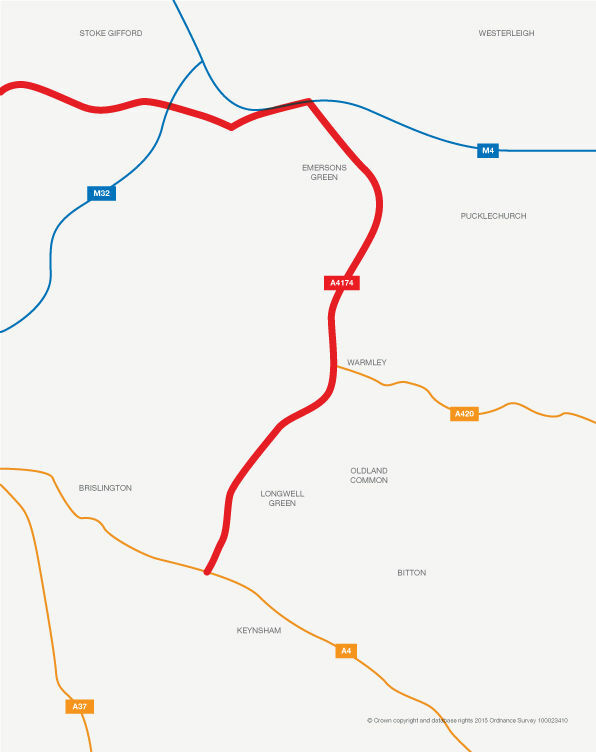 The works were distributed along the length of the A403 at fourteen separate locations. The authorities worked together to minimise disruption to residents and road users and undertake the best improvement package possible. We completed the year long scheme in December 2016 ahead of schedule and within budget. SGC had to carry out ground investigations to identify those sections most in need of works. We also asked residents and road users for their views on how we spent the money and worked collaboratively with members to maximise benefits to the local and business communities. The works included maintenance to the carriageway, footpaths, cycle ways, street lighting and drainage systems. This work will minimise future maintenance requirements over the next 20 years. To improve road drainage on the road, the project included an innovative rolling crown design of carrying gradients across the carriageway. Whilst this may make the road surface appear uneven, it is intentional and is working well at keeping residual water off the carriageway. We have completed this major project ahead of schedule and within budget. We worked closely and effectively with Bristol City Council, local members and local communities. This was a major undertaking for the council’s StreetCare department and we have prevented on-going maintenance work for several decades. Detailed work programmes and updates, as well works which will impact on the travelling public on both challenge fund projects will be available online and through social media channels using #challengefund. Facebook – sgloscouncil, Twitter @sgloscouncil.